Nice work ... if you can get it ... and I did! A year ago I was approached by a charming young-ish man with an irresistible offer. "We need to have the company's history updated, is that something you might be interested in?" he enquired. Considering who the company was and that it was Fergus who was asking, who could refuse. Now in its fifth generation of family ownership and management, the company actually celebrated its centenary in 1990 and had produced a book back then recording its first hundred years. With stocks of that original booklet all but gone and so much having changed in the most recent quarter of a century, 'The Boss' felt a new book was needed. The odd thing is, 'MullMurmurs' may have had something to do with it. 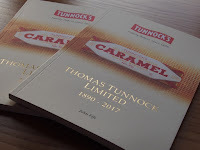 A few years back a conversation took place aboard the MV 'Isle of Mull' on the homeward bound trip from yet another memorable Tunnock's Mull Rally between the author of this scurrilous series of news and information sheets and Mr Boyd Tunnock himself. The Boss was very interested in how the information was gathered and then produced and typed up and distributed around the rally route and the island so quickly. 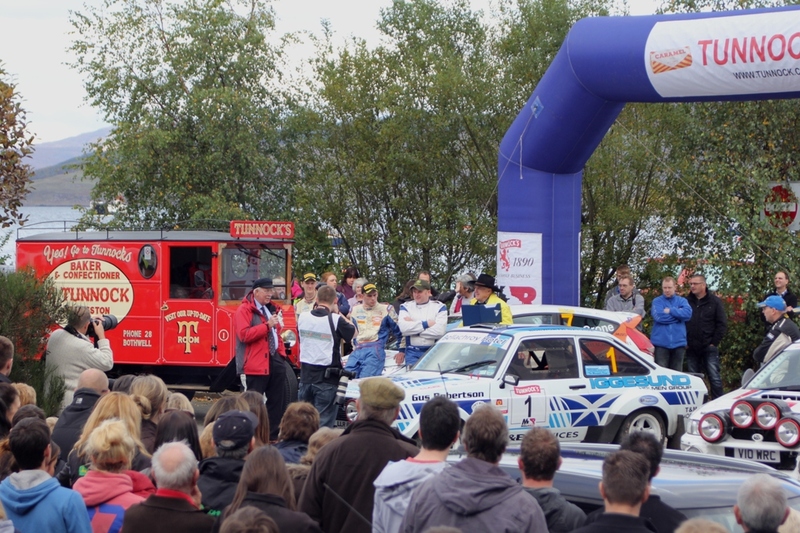 He actually used the word 'marvellous' to describe this collection of rally trivia and scuttlebuttitis, and then mentioned that he was missing a couple of issues - but I had some spares! Anyway, fast forward a few years and Fergus asked if I would be interested in producing a new book to celebrate the achievements of Scotland's best and biggest biscuit baker and the final result was delivered to the Tunnock's factory last week. An 11,000 word 'tome' on the origins, background and progress of Scotland's best loved biscuiteers. Unfortunately, none of youse lot will be able to buy it. The book is intended primarily for customers and factory visitors and local schools. But then again, Tunnock's has a merchandising section on its website and if the demand is there then you never know what might happen. Over the most recent 25 years Tunnock's has undergone massive change and now produces 6 million Caramel Wafers every week and 3.5m Tea Cakes, although rumours abound that on certain weeks over the past 12 months only 5,999,998 Caramel Wafers were produced - usually coinciding with my factory visits. Very odd. 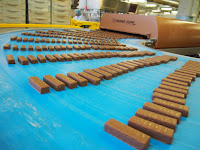 Add to that the Caramel Log and Snowball production plus other lines -and they still can't keep up with demand hence the new extension currently underway. Whatever, this was surely one of the bestest research and writing jobs ever, and I'm just so chuffed to have been asked.